What do you think your little one wants to bee when they get older? A librarian? An entrepreneur? A graphic designer? Congrats! You have a tiny beekeeper in your midst. And it’s a good thing, because our bee populations need a little TLC. Plus, artisan honeys and urban agriculture are making a major comeback, so there’s that. 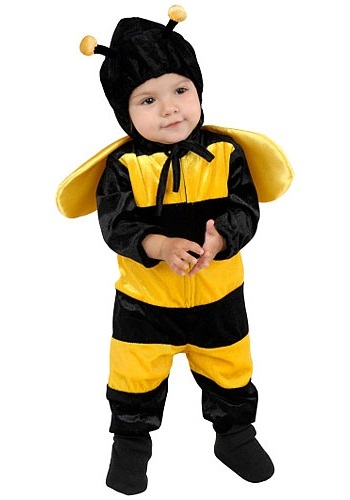 Since your tot isn’t quite old enough to get a hand on the honeycomb just yet, best let ‘em dress up in this Little Bee Costume to see what life is like on the other side. The cozy striped jumpsuit is almost too cute to handle, while plush wings and antennae help your lil’ worker get up close and personal with the mind of his soon-to-be-favorite insect. We know what you thought when your eyes came across this costume: it’s like it was meant to bee.